Moving targets are hard to grab! 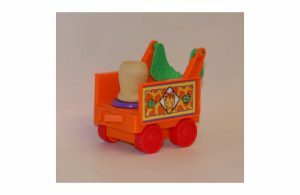 Help students with limited grasp or fine motor skills play with wheeled toys by gluing raised knobs to mobile cars, trucks, and airplanes. Compliments of Tots-n-Tech.